Hello everyone! I still can’t believe that it’s December first today!!! WHAT!?!?! And also day one of blogmas – eeeek! I’m so excited to read all the different festive blogmas posts. 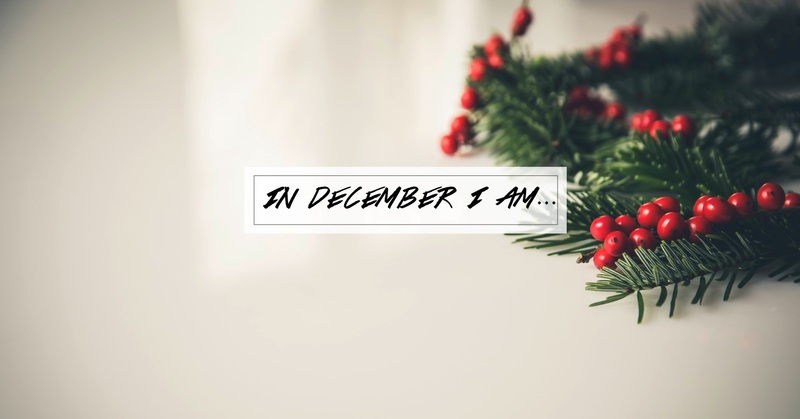 For my first post, I thought I’d share with you a few festive things I’m excited to be doing in December. If you’re stick stuck on blogmas post ideas, be sure to check out my previous post where I share with you 30 blogmas post ideas! I’M READING… Okay so I’m technically not reading anything at the moment but I just saw Fantastic Beasts a few days ago and now I really want to read Harry Potter! I’ve heard such great things about the Harry Potter books (I’m a massive fan of the movies) so this is definitely on the top of my list to read these holidays! I’M LISTENING TO… Christmassy songs duh! On my list are Mariah Carey, Michael Buble and Justin Bieber’s Christmas covers! I’ve even made a Christmas spotify playlist hehe. I’M EATING… Christmas puds! Cannot get enough of Christmas puds. I’m not a massive raisin fan but in Christmas puddings, I can make an exception. I’M EXCITED TO… Decorate my house with lights and other festive things! I can’t wait to put the lights up! I WANT TO BUY… An advent calendar! I’ve seen so many fab advent calendars. I’m not a chocolate person so I think beauty advent calendars will be the perf one for me! I’M PLANNING ON… Posting about my favourite Christmas songs, my favourite movies, Christmas lookbook and so much more! Are you as excited about December as I am?